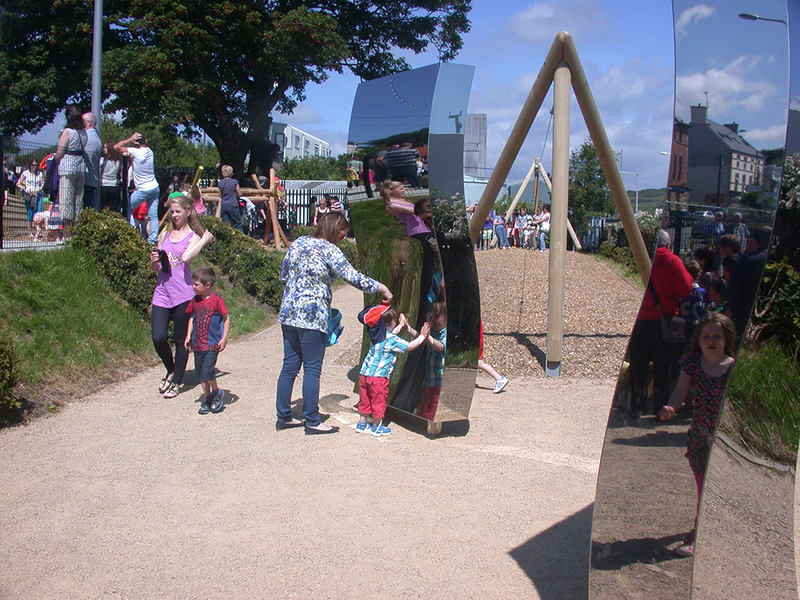 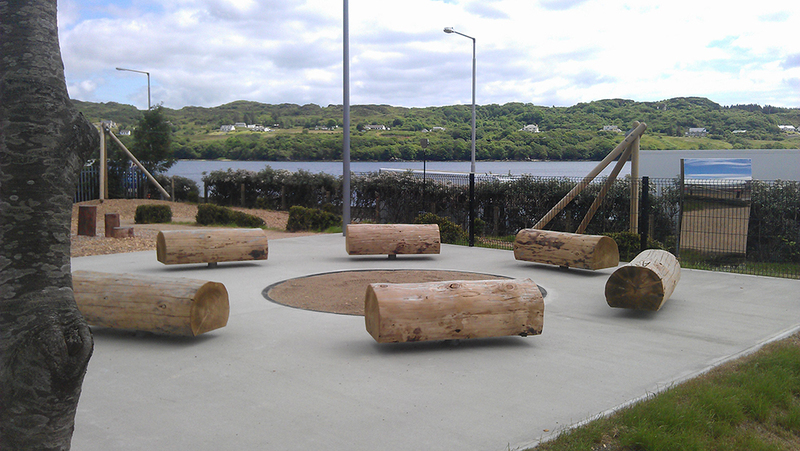 Killybegs Playspace opened to the public in June of 2014. 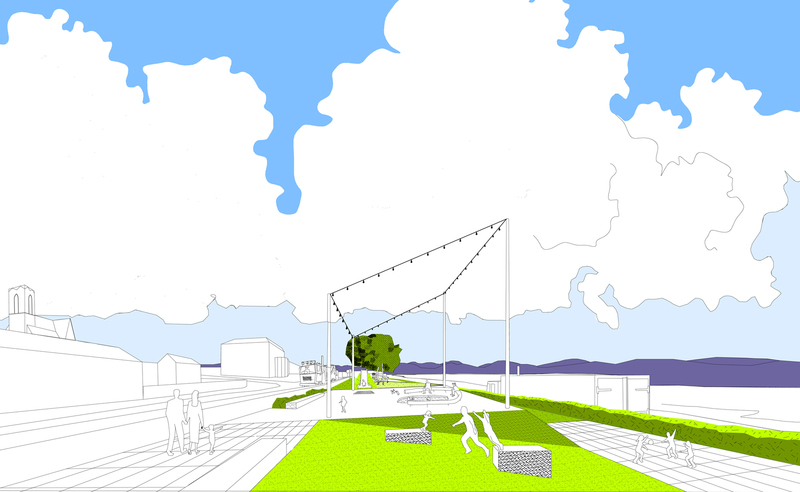 Lotus architects won the competition in 2011. 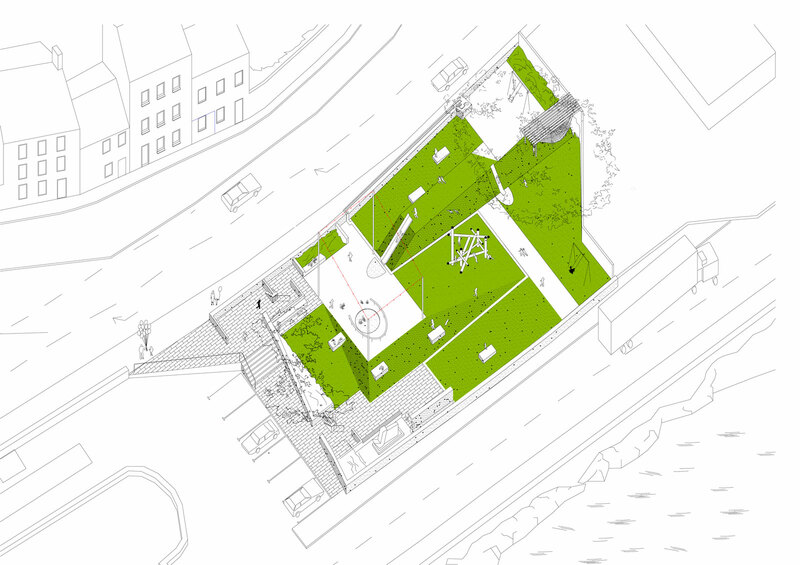 The proposal provides a ramped landscape with three horizontal terraces and a grid of solid platforms for play. 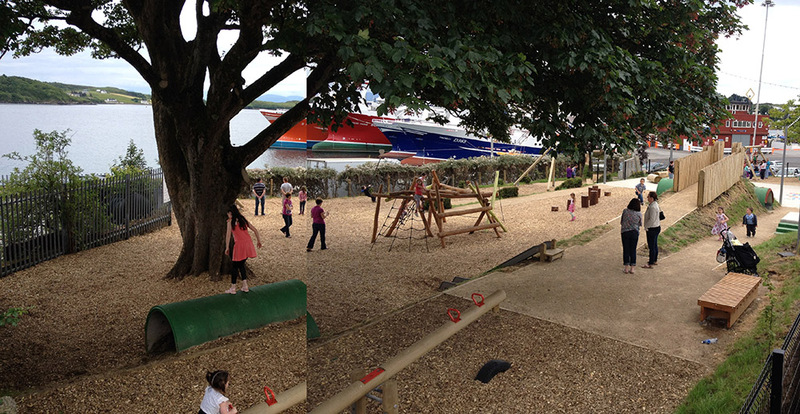 The designated play equipment is distributed onto this varied topography. 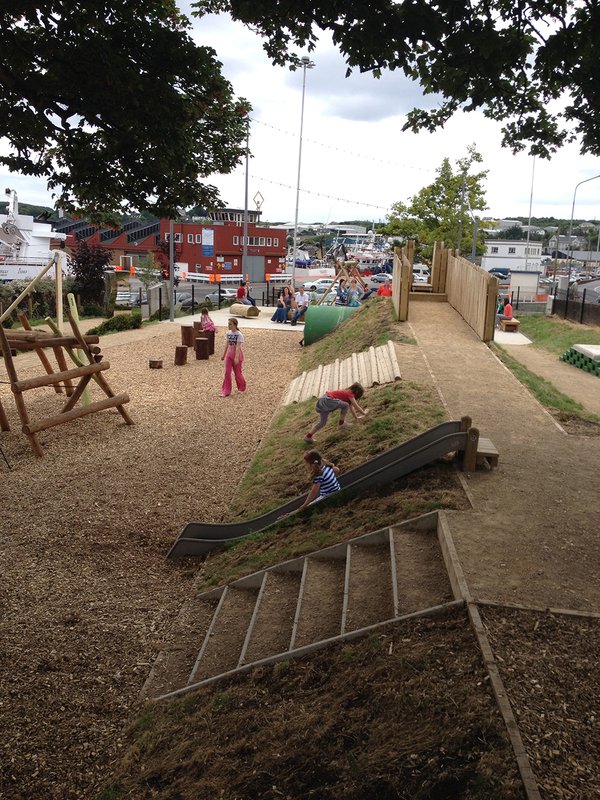 The design draws upon the town’s fishing culture and aspects of the place (boats, slipways, masts, lighting) but is primarily focused on ideas about play – about hidden depths of play dealing with society and the individual, and with nature and the making of environment (building sites, ruins, gardens) and the town (fairs, the sea, far away journeys, secrets, myths). 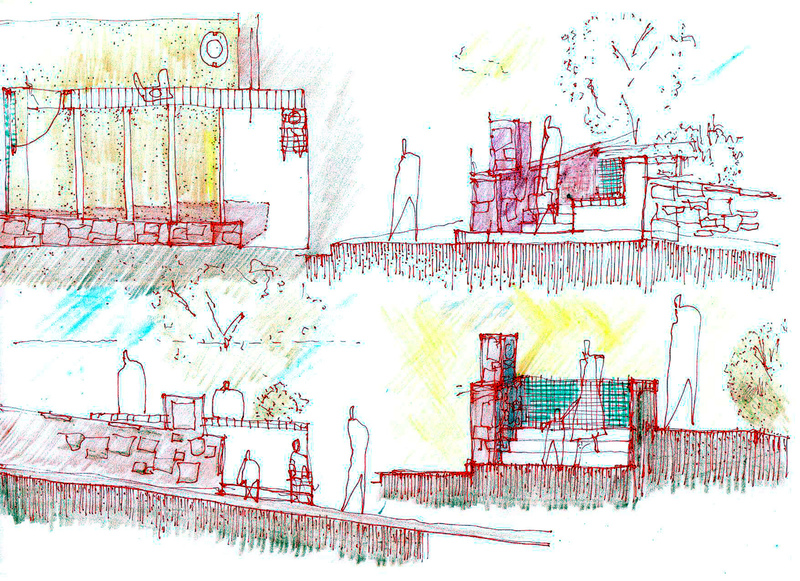 Competition Team: Peter Tansey + Jerome Breslin.